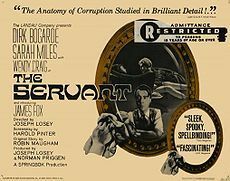 The Servant is Harold Pinter's 1963 film adaptation of the 1948 novel by Robin Maugham. A British production directed by Joseph Losey, it stars Dirk Bogarde, Sarah Miles, Wendy Craig, and James Fox. 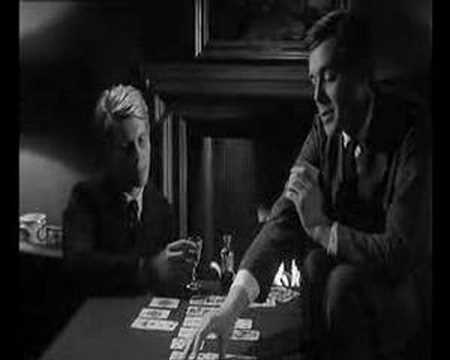 The first of Pinter's three film collaborations with Losey, which also include Accident (1967) and The Go-Between (1970), The Servant is a tightly-constructed psychological dramatic film about the relationships among the four central characters examining issues relating to class, servitude, and the ennui of the upper classes.